Badge for any music lover! 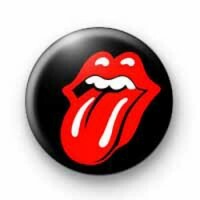 Classic Rolling Stones red tongue and lips Logo. Arguably the worlds best Rock & Roll band.